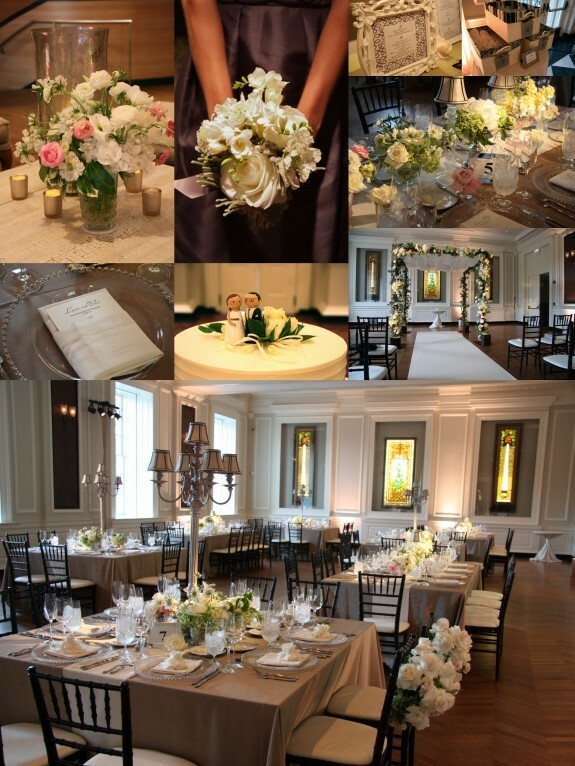 The Chicago History Museum was the venue for Laura and Elliott’s beautiful summer wedding ceremony and reception this past weekend. The choices they made for colors and decor were PERFECTION in the room. Simple, elegant, timeless! They made great efforts to ensure the ceremony decor would be equally lovely inside and out in case of bad weather, so when we moved festivities indoors because of the heat and humidity – they were still THRILLED with the look and feel of everything. Flip flops for the female guests, 5 different flavors of cakes on vintage cake plates and the cutest little cake topper complete with glasses to match the groom and taupe sash to match the bride added personal touches to the decor!